The nak, as it is called in Lao, is a mythical Hindu/Buddhist creature that has risen to deity like status. The name comes from the Indian word naga. 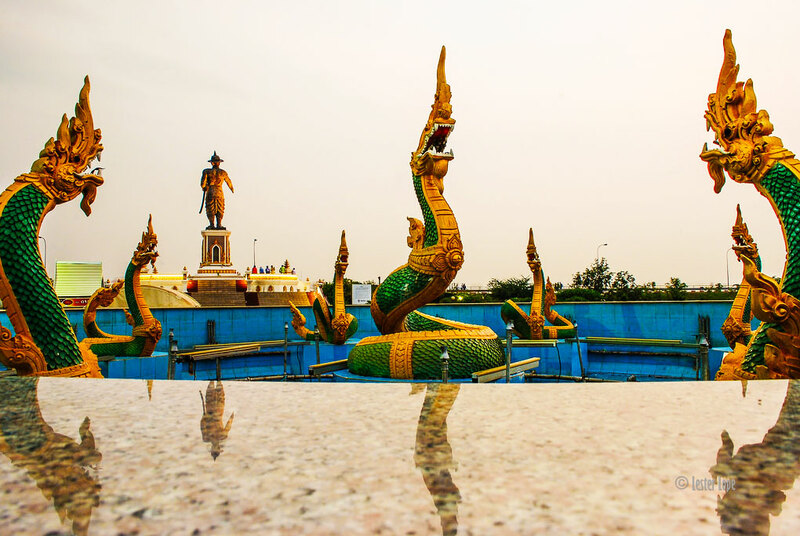 Here the naks are pictured in an empty fountain near the Chao Anouvong Park in the city of Vientiane.